All but a few trailheads listed feature parking. 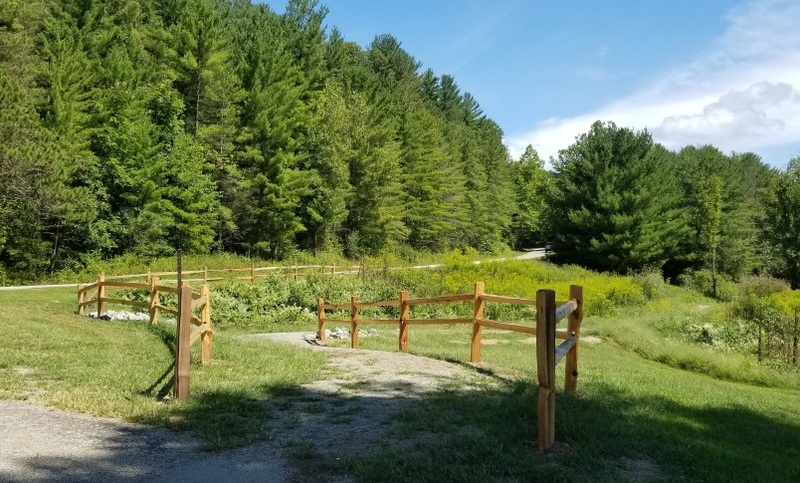 Click on the trailhead to see directions, a location map, and gps coordinates. There are numerous places along the bikeway where it's possible to park and use it. Listed trailheads are only sites where parking specifically intended for the bikeway has been provided. On East State Street in Athens next to a carwash, near Hope Drive. 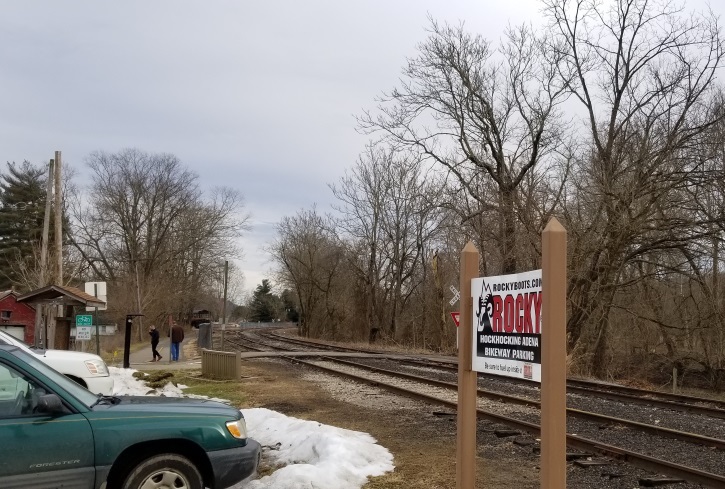 Access to the Hockhocking Adena Bikeway and the Athens Trail. On the south side of East State Street shortly east from US-33. Access to the Hockhocking Adena Bikeway. At the end of West State Street in Athens. 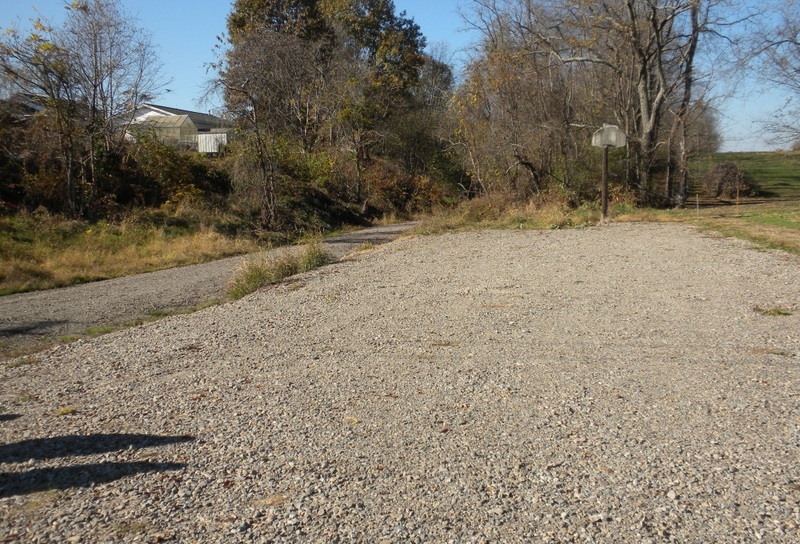 Access to the Hockhocking Adena Bikeway and the bikeway spur to Armitage Estates. On Currier Street, off Second Street in Athens near its west end. Access to the Hockhocking Adena Bikeway. At the north end of Jackson Drive off Johnson Road in The Plains. Access to the Hockhocking Adena Bikeway and the high school spur. At the intersection of Johnson Road and Jackson Drive. Access to the Hockhocking Adena Bikeway and the high school spur. Just east of Johnson Road in The Plains by Athens High School. Access to the Hockhocking Adena Bikeway and the high school spur. 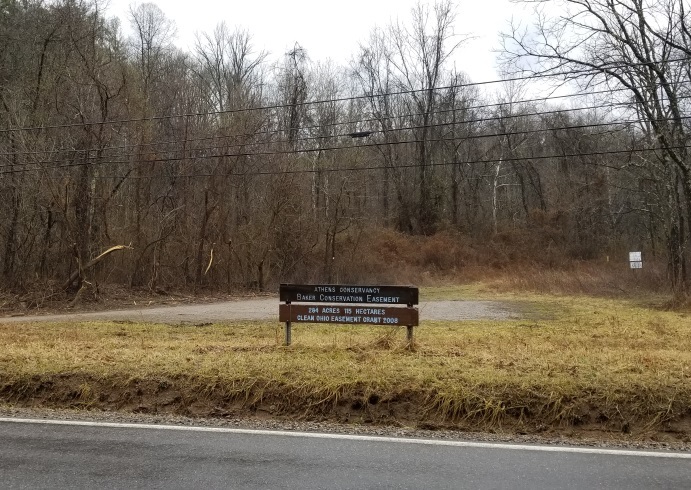 On Hamley Run Road at its intersection with LeMaster Road, just west from Ohio State Route 682, north of The Plains on the Hocking River. Access to the Hockhocking Adena Bikeway. On Glen Ebon Road on the west side of the Hocking River, west of US-33 between The Plains and Nelsonville. At the east end of the Rocky Boots Outlet Store parking lot in Nelsonville, on Myers Street off Canal Street. Access to the Hockhocking Adena Bikeway. On North Torch Road just south of Ferndale Park and just north of Torch Road, in Torch. Access to the Athens-Belpre Rail-Trail. On the west side of Ireland Road three-quarters of a mile north of US-50, east of Coolville. Access to the Athens-Belpre Rail-Trail. 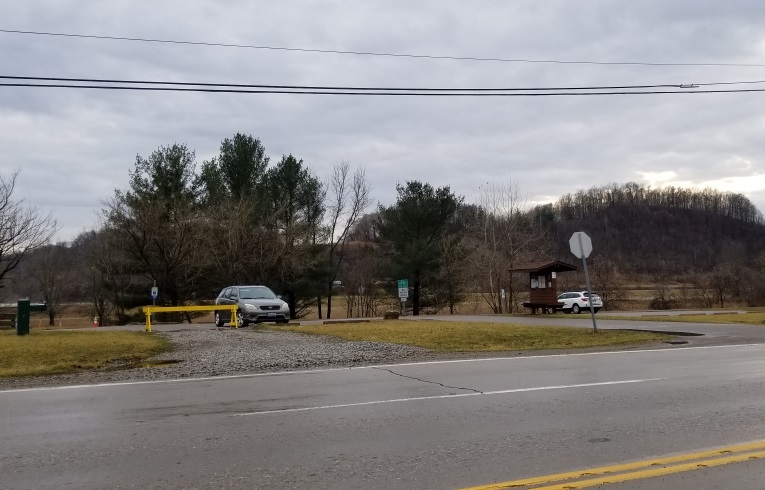 On the north side of the Frost Road segment that crosses the Hocking River to connect with Ohio State Route 144, four miles northwest from US-50. 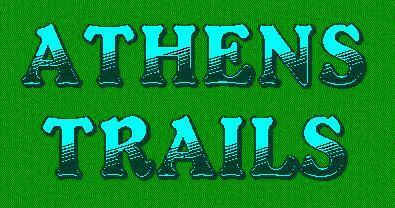 Access to the Athens-Belpre Rail-Trail and to the Hocking River. 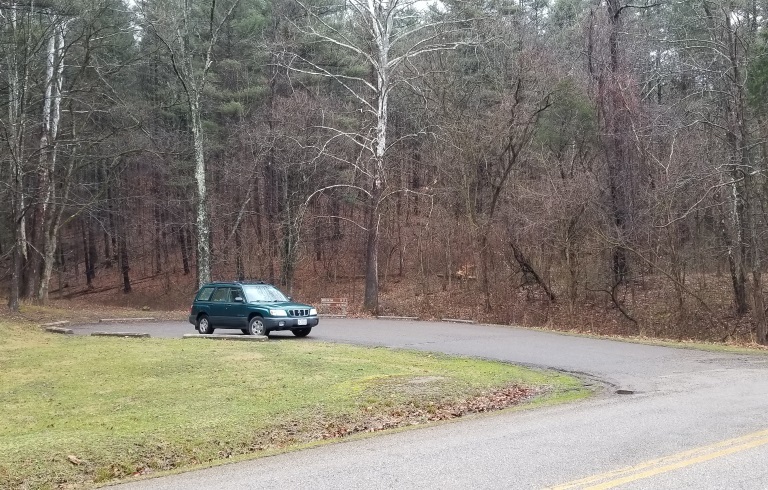 First parking area to the left coming into SRSP on Strouds Run Road from Athens. Access to the White Pine, Vista Point, and Thunderbunny Trails. 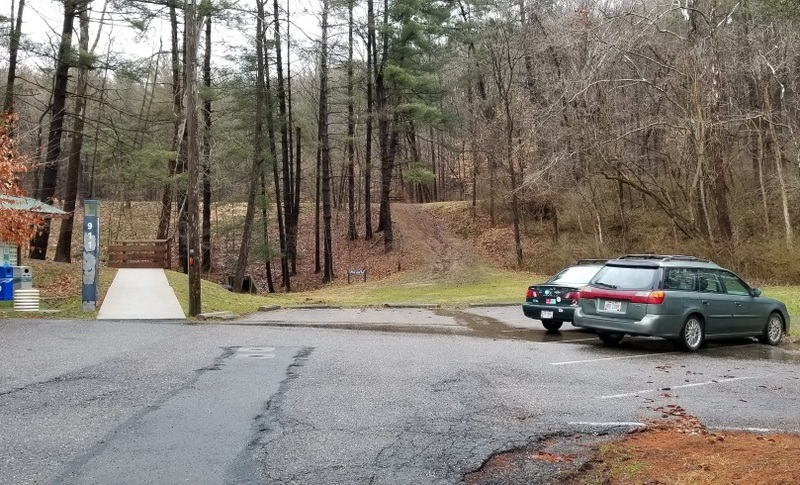 First parking area to the right coming into SRSP on Strouds Run Road from Athens. Access to the Strouds Run, Hickory, Trace, Finger Rock, and Thunderbunny Trails. 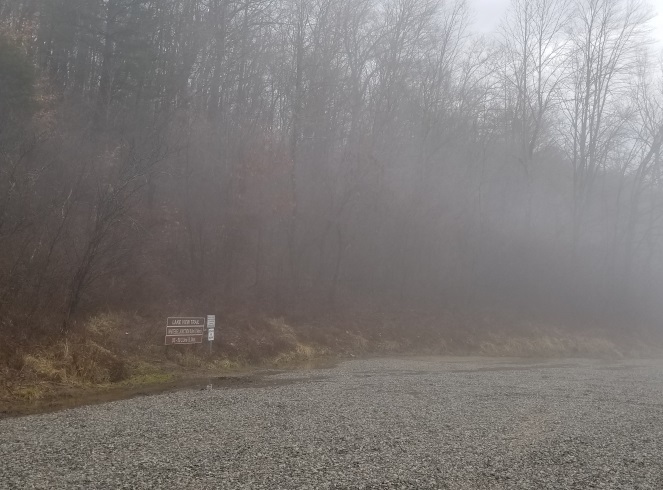 First shelterhouse on the right coming into SRSP on Strouds Run Road from Athens. Access to the Strouds Run and Blackhaw Accessible Trails. 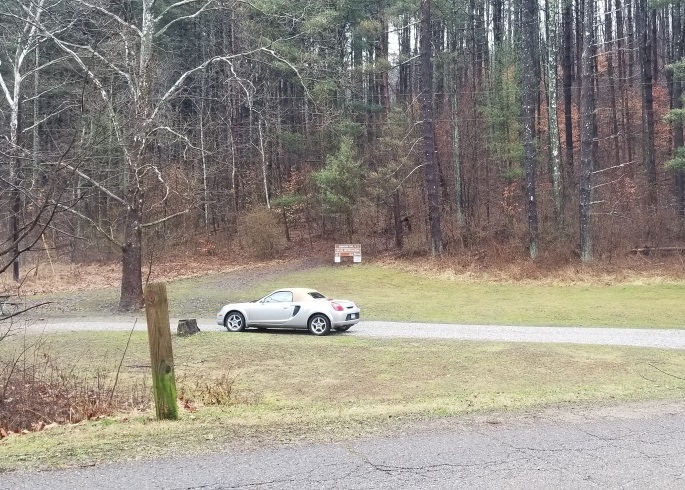 Parking area to the right going east on Strouds Run Road just before State Park Road. Access to the Strouds Run and Blackhaw Accessible Trails. At the lower end of the Strouds Run campground, just off State Park Road. No official parking. Access to the LaBarthe Run, Vista Point, and Thunderbunny Trails. On State Park Road where it makes a sharp bend uphill just north of the SRSP maintenance complex. Access to the Beaver Pond Trail. Off Swimming Beach Road to the left just after turning off Strouds Run Road. Access to the Sundown and Hollow Point Trails. On Swimming Beach Road off Strouds Run Road. Access to the Chestnut, Broken Rock, Sundown, and Lakeview Trails. At the end of Swimming Beach Road off Strouds Run Road. Access to the Lakeview and Broken Rock Trails. Near the end of Lake Hill Road, a small road off East Scatter Ridge Road at a sharp bend in the road. Access to the Amoretto, Haley, Hank, Hermit Hut Trails, and other trails. At Dow Lake Dam on US-50 just east of the end of East State Street in Athens. 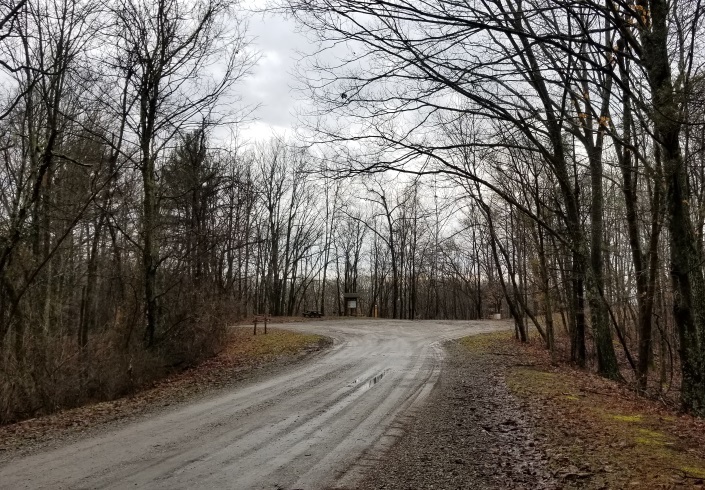 Access to the Hickory, Lakeview, Indian Mound and Sundown Trails. On East State Street in Athens near Hope Drive, just east of the carwash. Access to the Hockhocking Adena Bikeway and the Athens Trail. At the north end of McLaren Lane, going north from the Wal*Mart light on East State Street. Access to the Cucumbertree and Rockhouse Trails. At the north end of Avon Place, which goes north from East State Street in Athens opposite the Athens Community Center. 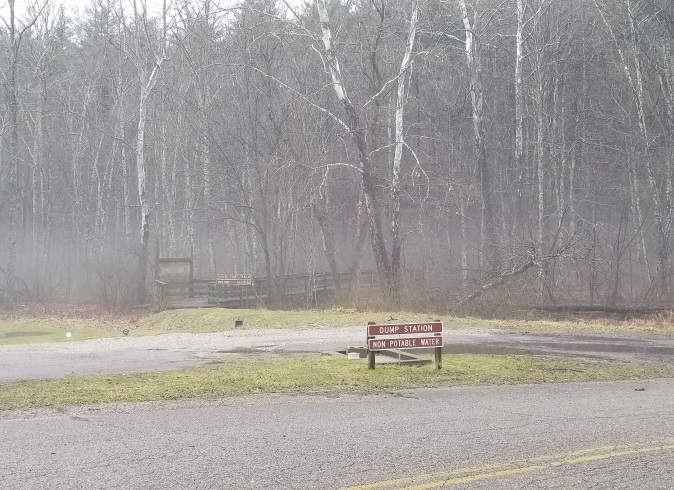 Access to the Athens, Rockhouse, Lookout, Redbud, and Sourwood Trails. On the west side of Ohio State Route 690 a half-mile north of US-50. Access to the Baker Trail system (Liar's Ridge, Mythical Tree, Broken Jug, Cockatiel Ridge, and Sheltered Valley Trails). A note about GPS coordinates: These are only shown to four decimal places. This precision creates a positioning with a margin of error of just a few feet; more decimal places are superfluous. Coordinates given generally are the middle of the parking area. 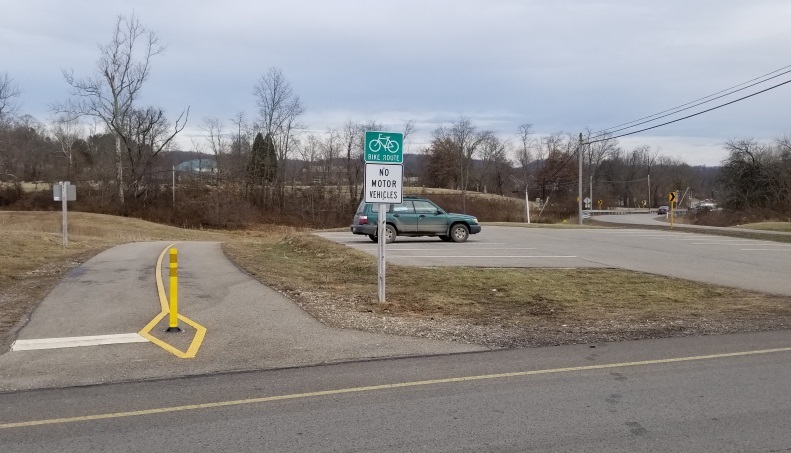 There are a number of places that the Hockhocking Adena Bikeway may be accessed from the Ohio University campus, but there are no actual trailheads, nor is there any free parking. 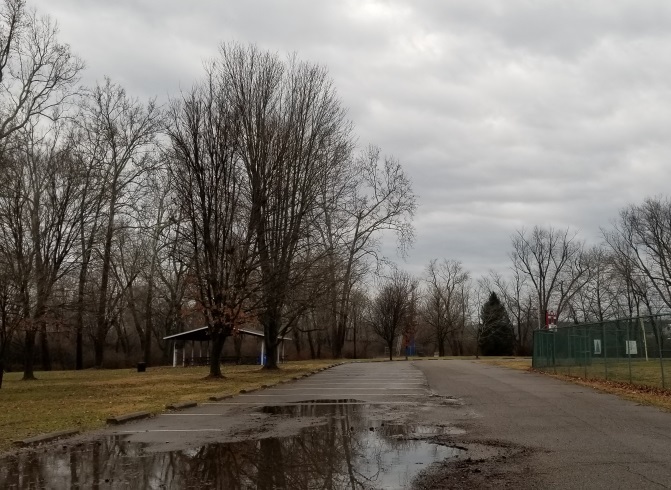 There are also multiple commercial parking lots along East State Street where parking is available..
On East State Street in Athens next to a carwash, near Hope Drive. 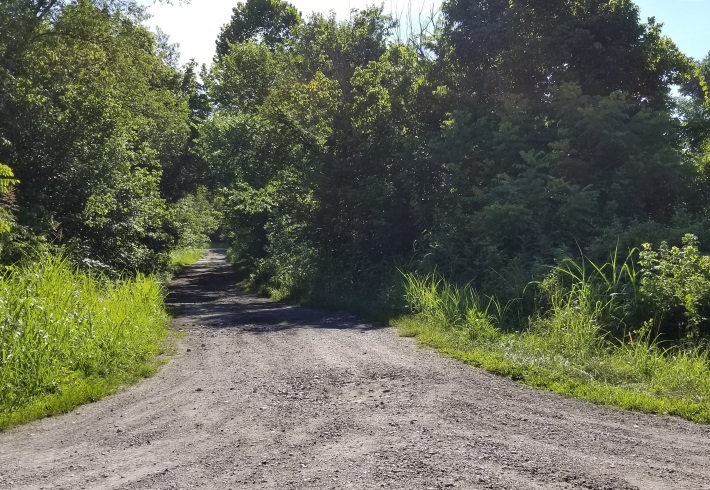 Access to the Hockhocking Adena Bikeway and the Athens Trail. Parking space for 4 cars. On the south side of East State Street shortly east from US-33. Access to the Hockhocking Adena Bikeway. Parking space for many cars. At the end of West State Street in Athens. Access to the Hockhocking Adena Bikeway and the bikeway spur to Armitage Estates. Parking space for many cars. On Currier Street, off Second Street in Athens near its west end. Access to the Hockhocking Adena Bikeway. Parking space for 4 cars. At the east end of Jackson Drive off Johnson Road in The Plains. Access to the Hockhocking Adena Bikeway and the high school spur. 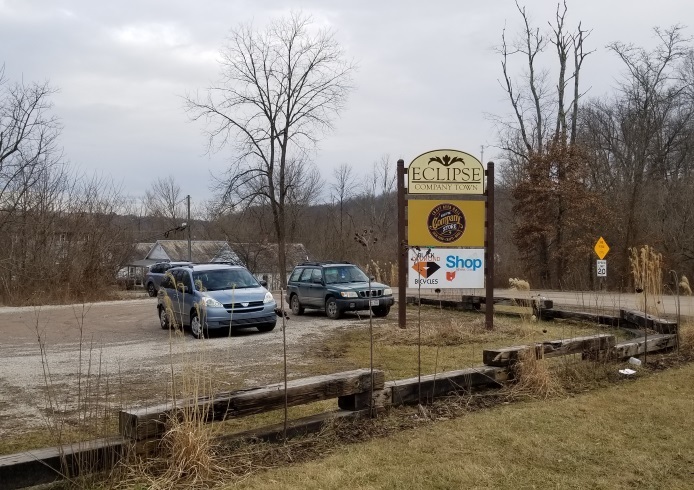 Parking space for up to 17 cars, but parking may be a problem during an event at the Eclipse Company Store building. Parking for the bikeway is authorized only in the pull-off spots at the end of Jackson Drive. At the intersection of Johnson Road and Jackson Drive. Access to the Hockhocking Adena Bikeway and the high school spur. Parking for up to 8 cars. Just east of Johnson Road in The Plains by Athens High School. Access to the Hockhocking Adena Bikeway and the high school spur. Parking for 12 cars. 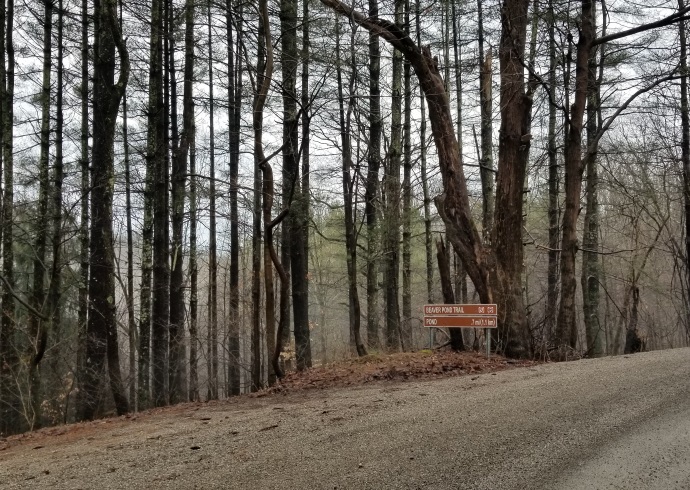 On Hamley Run Road at its intersection with LeMaster Road, just west from Ohio State Route 682, north of The Plains on the Hocking River. Access to the Hockhocking Adena Bikeway. Parking for 17 cars. On Glen Ebon Road on the west side of the Hocking River, west of US-33 between The Plains and Nelsonville. Official parking for 2 cars, plus enough room to park up to 6 more. At the east end of the Rocky Boots Outlet Store parking lot in Nelsonville, on Myers Street off Canal Street. Access to the Hockhocking Adena Bikeway. Parking for at least 10 cars. On North Torch Road just south of Ferndale Park and just north of Torch Road, in Torch. Access to the Athens-Belpre Rail-Trail. Parking for 4 cars. On the west side of Ireland Road three-quarters of a mile north of US-50, east of Coolville. Access to the Athens-Belpre Rail-Trail. Parking for up to 8 cars. 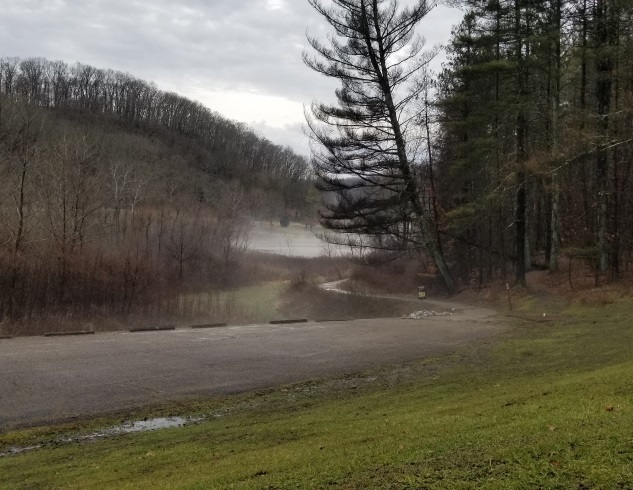 On the north side of the Frost Road segment that crosses the Hocking River to connect with Ohio State Route 144, four miles northwest from US-50. 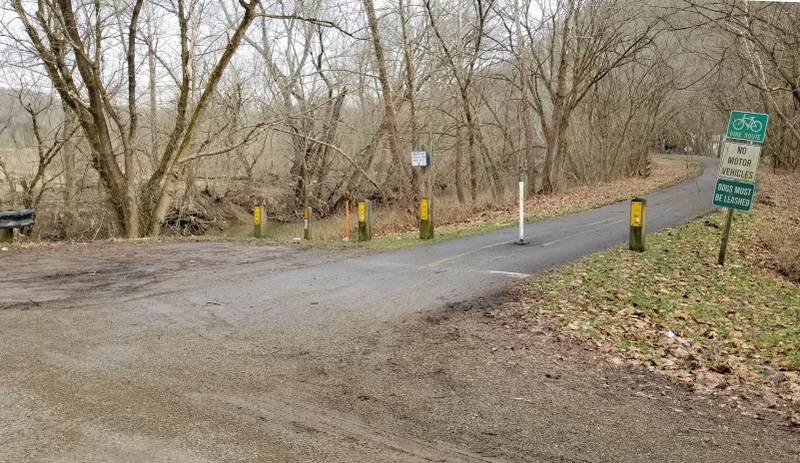 Access to the Athens-Belpre Rail-Trail and to the Hocking River. Parking for up to 12 cars. 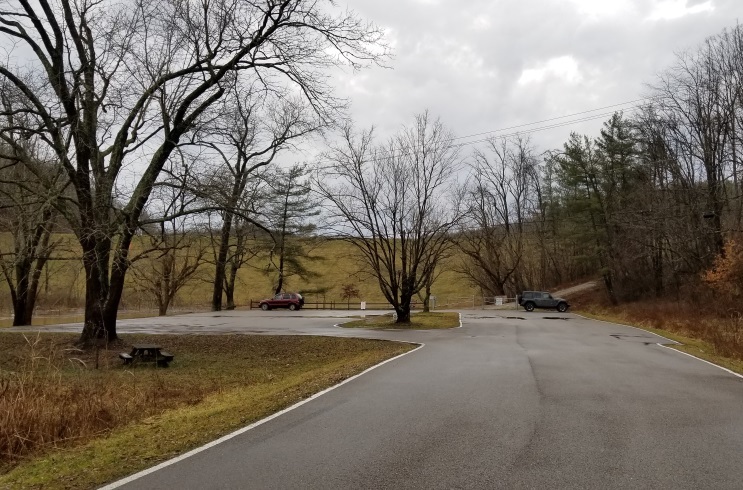 First parking area to the left coming into SRSP on Strouds Run Road from Athens. Access to the White Pine, Vista Point, and Thunderbunny Trails. Parking for up to 6 cars. 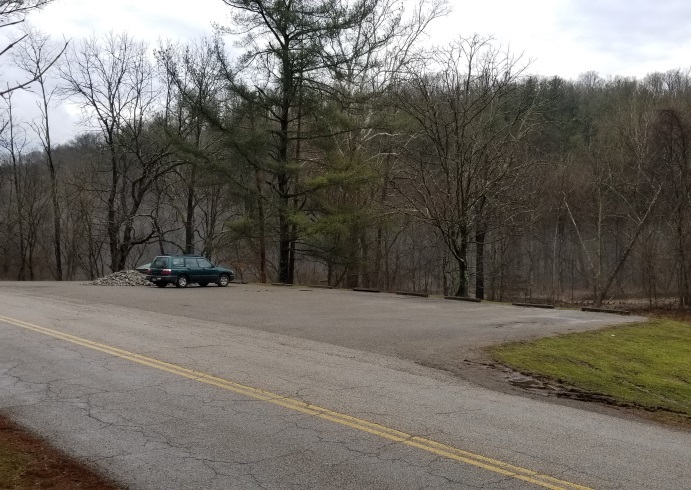 First parking area to the right coming into SRSP on Strouds Run Road from Athens. Access to the Strouds Run, Hickory, Trace, Finger Rock, and Thunderbunny Trails. Parking for up to 12 cars. First shelterhouse on the right coming into SRSP on Strouds Run Road from Athens. Access to the Strouds Run and Blackhaw Accessible Trails. 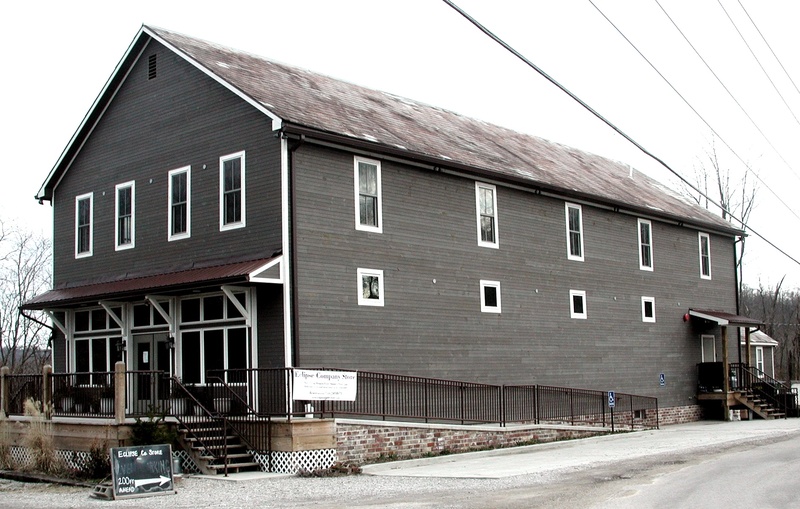 Parking for up to 15 cars, but parking may be a problem during events at the shelterhouse. 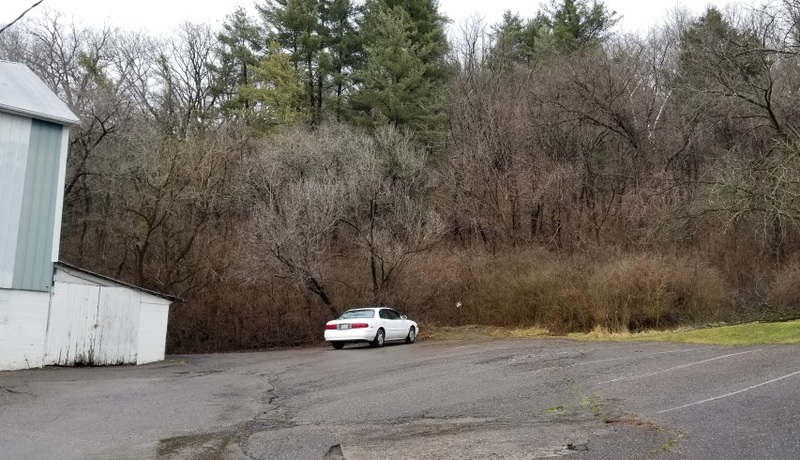 Parking area to the right going east on Strouds Run Road just before State Park Road. Access to the Strouds Run and Blackhaw Accessible Trails. Parking for 14 cars. 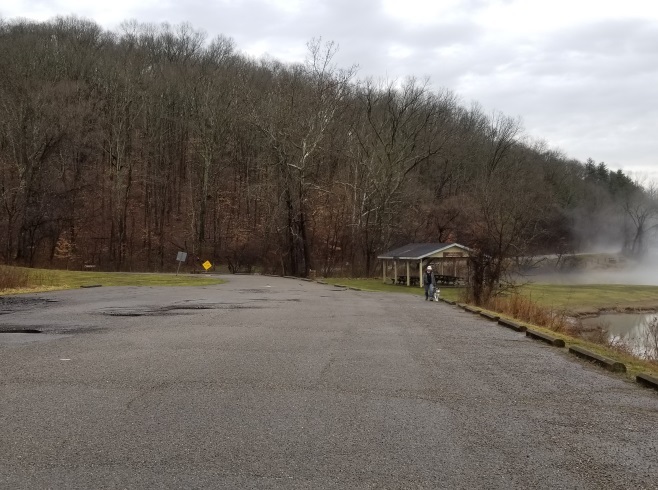 At the lower end of the Strouds Run campground, just off State Park Road. No official parking. Access to the LaBarthe Run, Vista Point, and Thunderbunny Trails. Do not block the RV dump site. On State Park Road where it makes a sharp bend uphill just north of the SRSP maintenance complex. Access to the Beaver Pond Trail. Parking for 2 car on the roadside. Off Swimming Beach Road to the left just after turning off Strouds Run Road. Access to the Sundown and Hollow Point Trails. Parking for up to 12 cars. However, this parking area is often full during warm weather as people are using picnic facilities. On Swimming Beach Road off Strouds Run Road. Access to the Chestnut, Broken Rock, Sundown, and Lakeview Trails. Parking for many cars. At the end of Swimming Beach Road off Strouds Run Road. Access to the Lakeview and Broken Rock Trails. Parking for 6 cars. Near the end of Lake Hill Road, a small road off East Scatter Ridge Road at a sharp bend in the road. Access to the Amoretto, Haley, Hank, Hermit Hut Trails, and other trails. 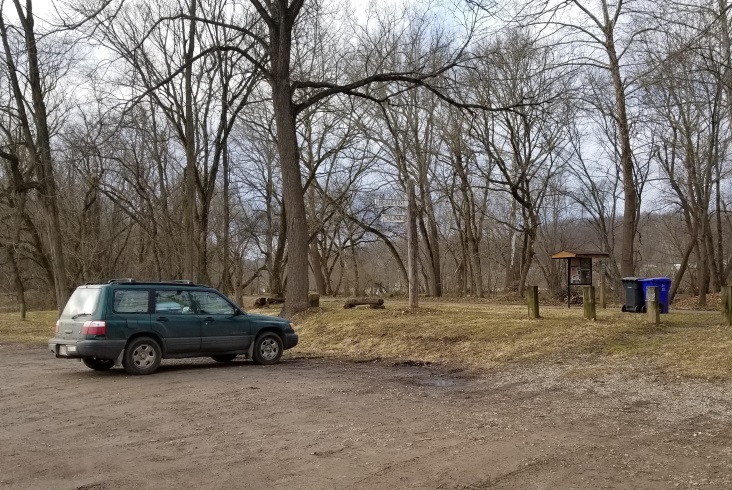 Parking for up to 10 cars or about 4 vehicles with horse trailers. At Dow Lake Dam on US-50 just east of the end of East State Street in Athens. 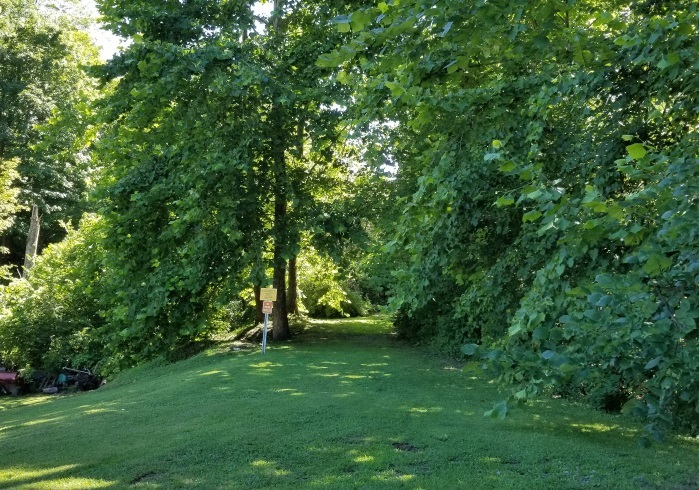 Access to the Hickory, Lakeview, Indian Mound and Sundown Trails. Parking for 20+ cars. On East State Street in Athens near Hope Drive, just east of the carwash. 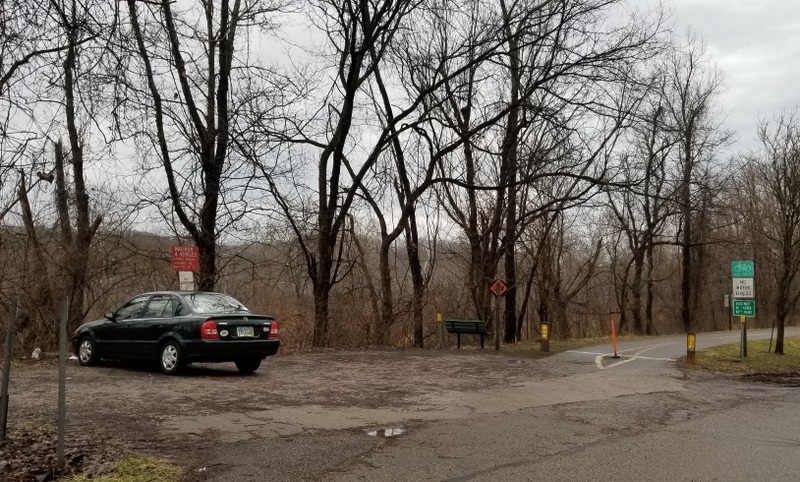 Access to the Hockhocking Adena Bikeway and the Athens Trail. Parking for 12 cars. At the north end of McLaren Lane, going north from the Wal*Mart light on East State Street. Access to the Cucumbertree and Rockhouse Trails. Parking for up to 10 cars. At the north end of Avon Place, which goes north from East State Street in Athens opposite the Athens Community Center. Access to the Athens, Rockhouse, Lookout, Redbud, and Sourwood Trails. Parking for 8 cars plus parking on the street nearby. On the west side of Ohio State Route 690 a half-mile north of US-50. Access to the Baker Trail system (Liar's Ridge, Mythical Tree, Broken Jug, Cockatiel Ridge, and Sheltered Valley Trails). Parking for 7 cars.